There have been alot of discussions on Microservices lately. Alot of concentration has been around the services themselves. But what about the Data that these Services need and use? Should Data be tightly coupled to the microservice? Should there be abstraction between the service and the data? In this blog we will touch on Micro Data Services and how I think they can be created. Microservices is an architectural approach, that emphasizes the functional decomposition of applications into single-purpose, loosely coupled services managed by cross-functional teams, for delivering and maintaining complex software systems with the velocity and quality required by today’s digital business. One of the characteristics of microservices, described by Martin Fowler, in his microservices article, is described as Decentralized Data Management. He describes this as letting each service manage its own database. Either different instances of the same database technology or entirely different database systems. As he indicated this is an approach called Polyglot Persistence. 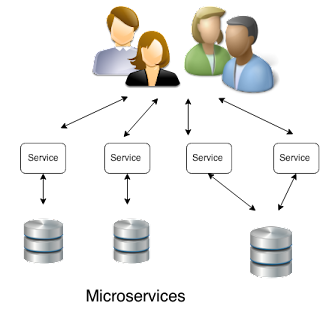 In the context of the database, this is referring to services using a mix of databases to take advantage of the fact that different databases are suitable for different types of programs. Of course there maybe already existing silos or monolith databases that the microservices need to use. So first let's talk about going from Monolith to Microservices visually and then let's talk about how Data Virtualization can help Enterprises move to microservices. Now let’s move toward the data discussion with Microservices. How can I create a Micro Data Service so the microservice has access to the data it needs and only the data it needs? That is where we can pull in JBoss Data Virtualization to allow easy migration and adoption of microservices. As seen in the diagram below we have a lot of different data sources that microservices may need. 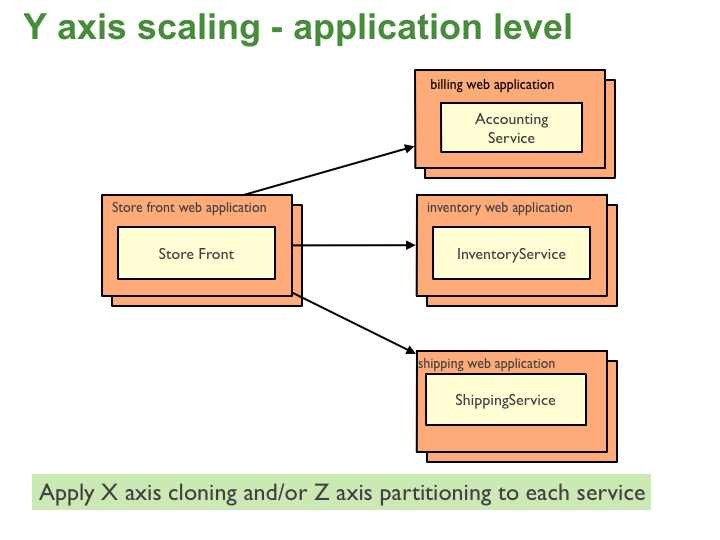 So we can use Data Virtualization to add Micro Data Services for each of the microservices. 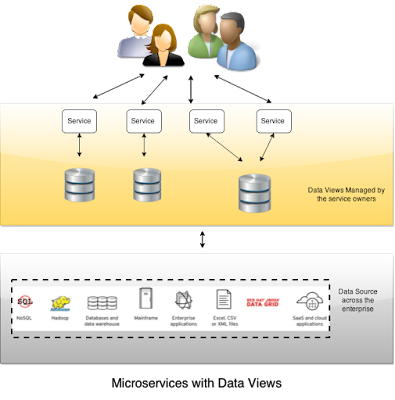 We can also add Security such as row level security and column masking to the Virtual Database (VDB). The VDB can be created for each microservice or we can create Multiple Micro Views in the VDBs. What are the Benefits to using Data Virtualization for Micro Data Services?